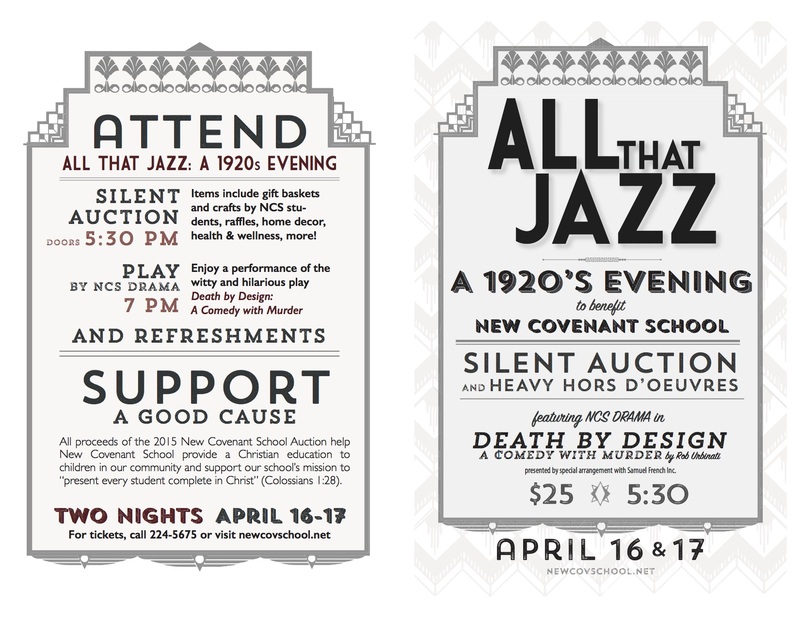 Are you interested in being a sponsor for our 2015 Auction and Theatre Production…”All That Jazz”? 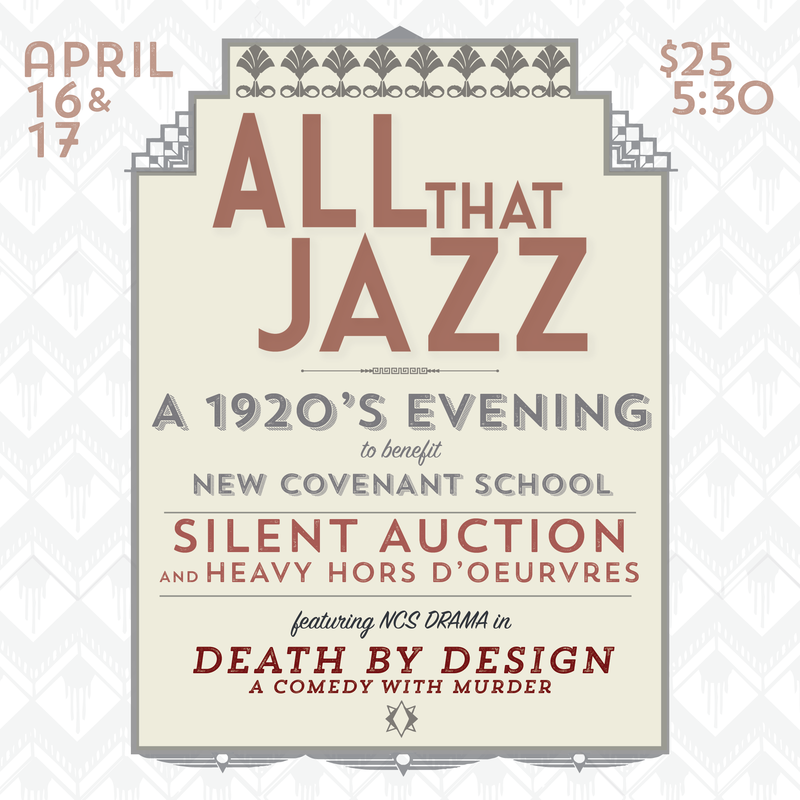 The 1920’s themed event will include a silent auction, heavy hors d’oeuvres, and the play Death by Design; Rob Urbinati’s mystery/comedy. In the images below you will see the many ways you can sponsor this event. If you would like to make a donation or sponsor this event, contact the New Covenant School office at 864-224-5675 or school@ncchurch.net. In 1988, the Elders of New Covenant Presbyterian Church, PCA, called David Rountree to serve as pastor of New Covenant. The elders at that time were Dexter Williams, Howard Cox, and Maurice Lopez. Shortly after Pastor Rountree’s arrival, he and the Ruling Elders went to Ridge Haven, North Carolina to conduct a planning retreat or New Covenant. On that trip both short and long-range goals were established for the church with the idea that a planning retreat would take place each year where the goals that had been established for the church would be evaluated and modified if necessary. Also, it would be determined if any of the goals had been met and it was also a time for establishing new goals for the church. One of the goals on that trip was the commitment to begin praying that in God’s own time a school would be established at New Covenant as part of the ministry. Over the next ten years that goal was kept on the prayer list. In 1998, Maurice Lopez was retiring as Superintendent of a local school district. Dr. Rountree met with Maurice and asked if he would consider coming on board at New Covenant to be the founding headmaster of the school. It was decided that Mr. Lopez would begin conducting research into the establishment of such a school. In mid July of 1998, that research would take him to Franklin, Tennessee, to a conference of the Classical Christian School Association. This conference was conducted by Dr. George Grant, founder and head of Franklin Classical School. It was at that trip that the foundation was laid for the idea of the school, if it was to be started, that it would follow the classical model. In August of 1998, the Session once again went on the annual planning trip to North Carolina. While on that trip, Mr. Lopez gave a report on his findings into the establishment of his research. The Elders voted to proceed with the establishment of a Christian school at New Covenant. The school was to come along beside the parents to assist them with the education of their children. 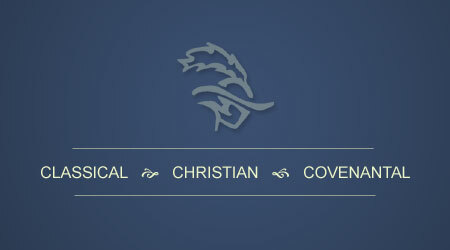 New Covenant’s school would be a Christian covenantal school and it would follow the classical model of instruction. Many schools and home schooling parents were returning to the classical model as one of the “lost tools of education” had been rediscovered. The church hired Mr. Lopez to be the founding Headmaster of the school and he started work in September of 1998. The goal was to open the doors of the school in August of 1999. During the fall of 1998, Mr. Lopez returned to Franklin, Tennessee, to observe the operation of Franklin Classical School and to meet with their staff, especially Dr. Grant. While there, New Hope Academy was also visited. 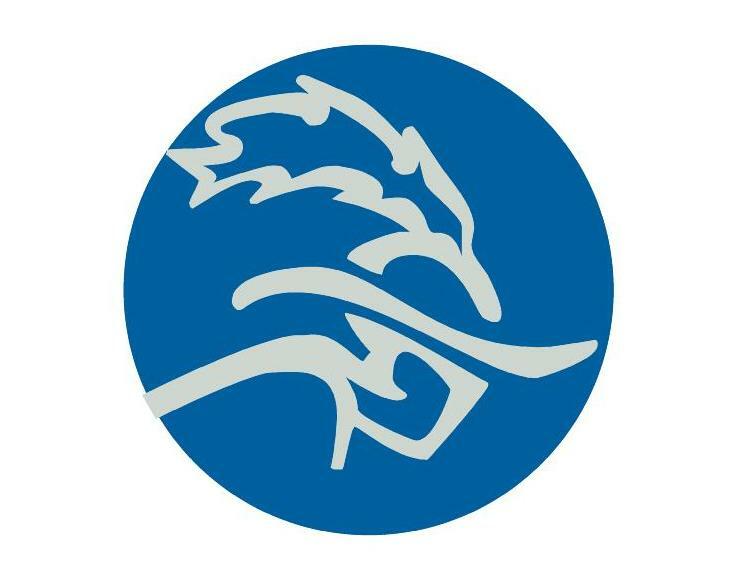 New Hope Academy was the elementary classical school and Franklin Classical was the middle and the high school. In addition to visiting these schools, much research was done on the classical model. This consisted of reading books on the subject and talking with other schools that were following the classical model. All of this took place during the fall of 1998. June 10-11, 1998 Session of New Covenant Church votes to look into the possibility of starting a Christian school. March 1998 Original Steering Committee of New Covenant School is established by the Session. The original members of the committee are David Wilcox, Maurice Lopez, Dr. John Nordeen, Dr. Rusty Dodds, and Judy Jones. October 1998 Greg Suskin, Fred Kindervater, and Rachel Kindervater are added to the Steering Committee. At that meeting, the name New Covenant School is chosen. November 30, 1998 The Session approves the bylaws of New Covenant School. In August, 1999, The Session approves Ward Giannini as chaplain and bible teacher . August 4, 1999 Dr. David Wortham and Sherri Settle are appointed to the committee. August 1999, New Covenant School opens with Maurice Lopez as headmaster and teacher and Mr. Ward Giannini as full time teacher and chaplain. Ten students start at New Covenant in a combination 6th and 7th grade. During that first year, Dana Newell and Denise Burchette were employed as part time teachers. With the departure of Mr. Giannini to work in the Washington, DC area, God once again provided New Covenant with excellent teachers. These teachers were Niki Sheppard, David Wilcox, Jeanne Quinn, Mike Quinn, Dennis Bills, Cindy Wilcox, and Curt Rabe. Maurice Lopez, Niki Sheppard, Jeanne Quinn, and Mike Quinn attended the ACCS conference in Washington, DC. August 2000, New Covenant expanded down to the fifth grade and up to the eighth grade. Mr. Lopez continued as headmaster and teacher and the school expanded to 25 students. New courses were added in the areas of music, art, and PE. At the conclusion of the school year, Mr. Lopez announced his plans to retire from the position of headmaster of the school. Mr. Dennis Bills was announced as the new headmaster of the school starting with the 2001-2002 school year. Mr. Lopez remained with the school as math teacher. Mr. Bills continued as headmaster through the 2006 school year. The school continued to expand in both grades and number of students served. 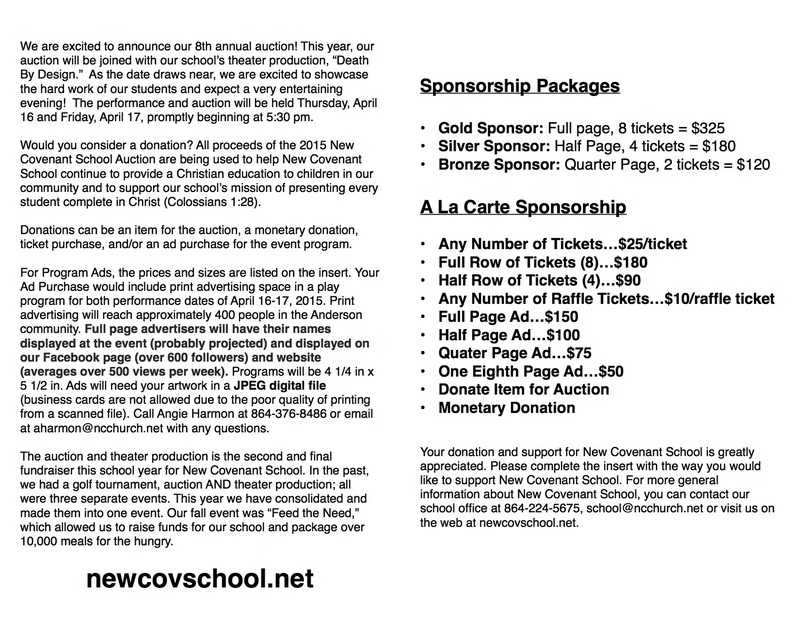 During Mr. Bill’s tenure, New Covenant School had its first graduation ceremony in May of 2006. At the end of the 2006 school year, Mr. Bills resigned to return his family to a ministry in his home state of West Virginia. Mr. Joey Thames was named as the next headmaster of New Covenant. Under the leadership of Mr. Thames, the school continued to grow and expand for the next five years. He resigned in 2012 to take a position in the science department at Clemson University. Mr. Joe Canney was hired to begin work as the new Headmaster of the school during the summer of 2012. 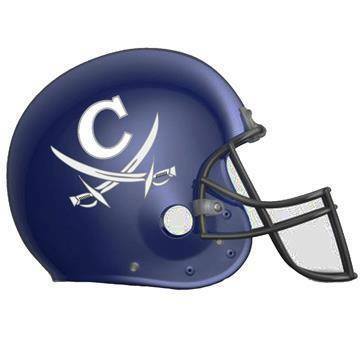 The Cavalier Chronicle is a great way to find out what is going on with New Covenant School and to let others know. If you would like for us to add anyone to our distribution list (grandparents, aunts, uncles, friends, Pastors, etc…) please reply email us at school@ncchurch.net. There will be two ‘Dress Down Days’ in March. March 17th – Wear green and/or orange for Saint Patrick’s Day! 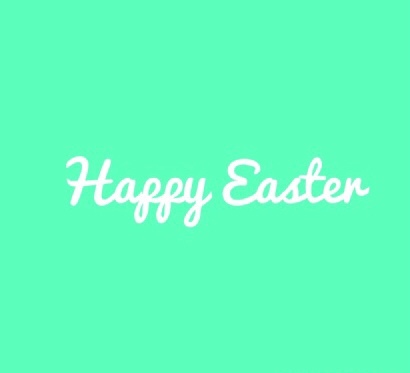 March 27th – Wear your Easter Best for the last day of school before Easter Break! Plus there will be an all school Easter Chapel! Guests are welcome! 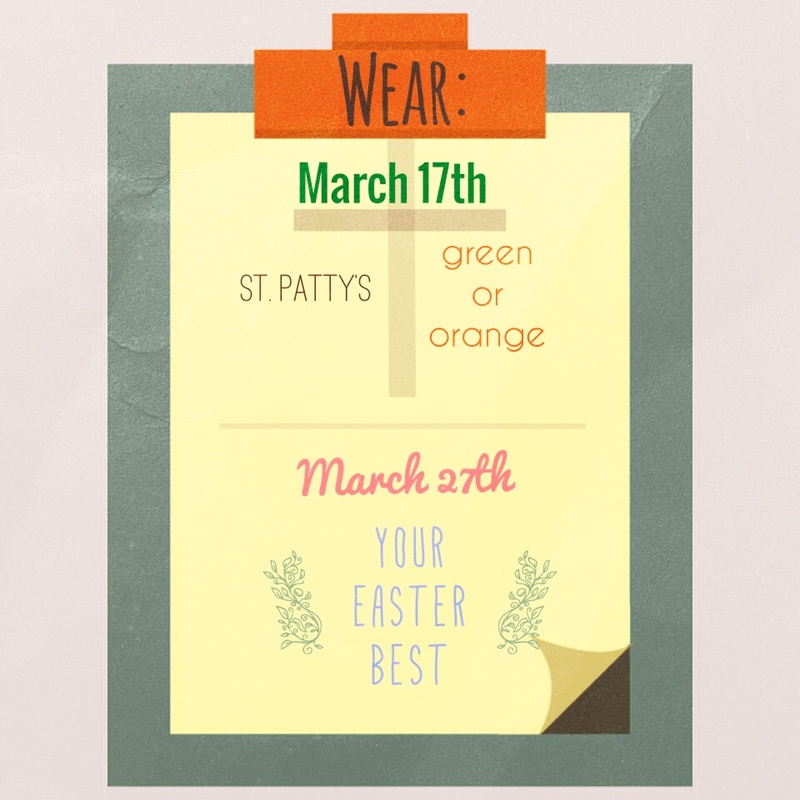 Special Dress Days – Tues, Mar 17th Wear Green or Orange and Fri, Mar 27 Wear Your Easter Best! A new day is dawning for New Covenant School as we are prepared to launch our school basketball teams next winter. The preparation begins now! 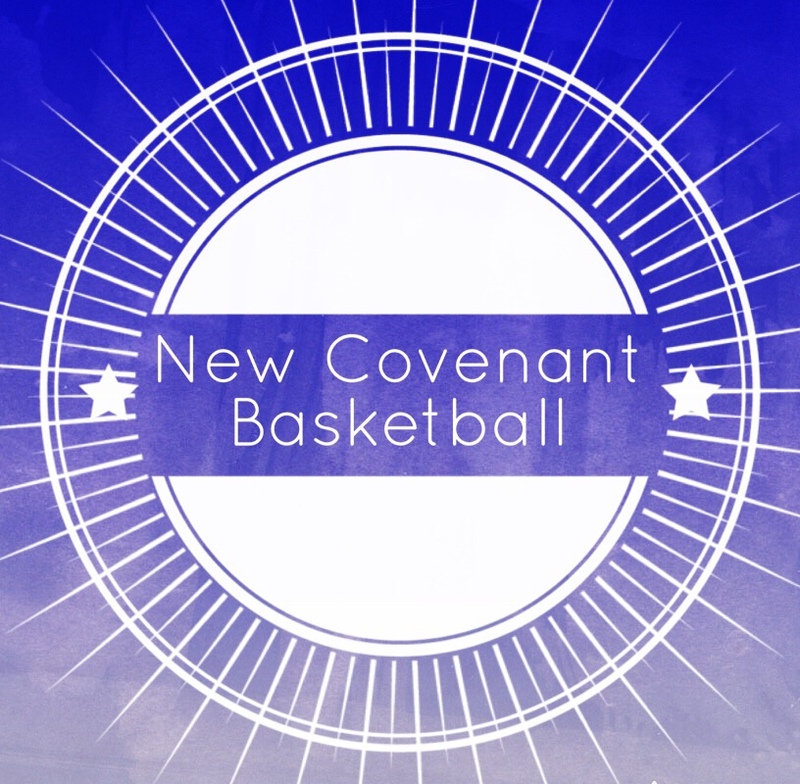 Please come to New Covenant School on Wednesday, March 25th at 6:15 pm to hear more about our vision for High School, Middle School and Youth basketball teams! New Covenant School families of all ages are welcome to come, along with homeschool families and any lovers of all things hoops! Vision Hint One: Our school teams will include NCS students and homeschool students! Vision Hint Two: We will have varsity boys and girls teams next year!